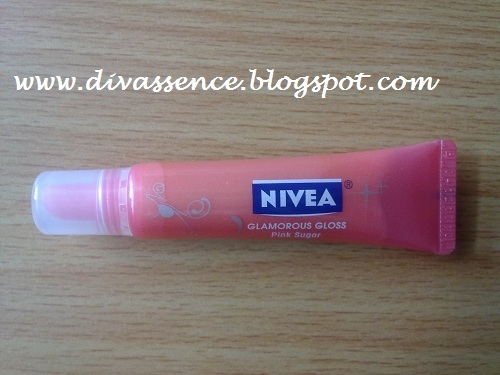 Nivea Glamorous Gloss in Pink Sugar: Review and Swatches - Divassence! 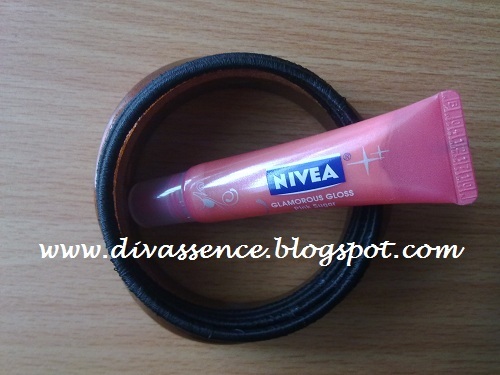 When I bought the Nivea Fruity Shine in Pomegranate, I also got the Nivea Glamorous Gloss in Pink Sugar for free at Health and Glow. Left to myself, I wouldn’t have picked this up, because I don’t quite take to Gloss, as opposed to a salve or a chapstick. But the product was a pleasant surprise and gently egged me onto putting “gloss” on the (frugal) list of make-up merchandise I would rely on! The product comes in with a couple of ultra shine pigments and exotic scents, and promises to bring “dazzling shine to your lips” along with considerably long lasting moisturization and care. 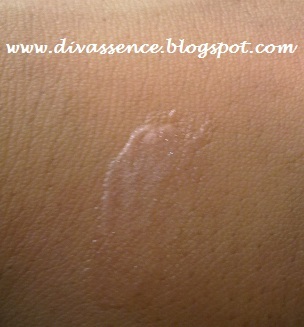 It also contains SPF 15 to help protect against UVA and UVB rays. So far as my use goes, I can safely say that it wasn’t disappointing, but so far as how the product rates amongst its contemporaries, I’d say it would be worthless conjecture on my part, given my lack of experience!! The “dazzling shine” is quite evident, pretty even. The fragrance is pretty light, subtle and perfect. What I didn’t like, though, is a little longer in terms of the “list-size”. Terrible applicator- You’ve got to really struggle until it comes out of the tube. 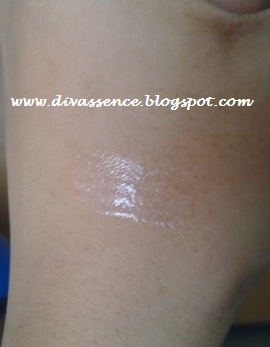 Not long-lasting at all- Although I am wont to “eat-up” my lippies, I sat still for four hours without any eating-up activity, and I found that at the end of about an hour and a half, I’ve lost the “dazzling shine” and the moisture. I also found that there is some sort of a “sticky” feeling after applying the product- it doesn’t glide or feel happily moisturized. I’m not sure I’d buy the product again, but the swatches may speak to you differently if you’d like to try it! @Deepika Wasnt it shimmery for using under blush?? @shruthi it is not that shimmery.. and def not those chunky shimmers.. my mom loves it coz it makes her powder blushes stay.. i haven’t tried that method though..
Nice review. 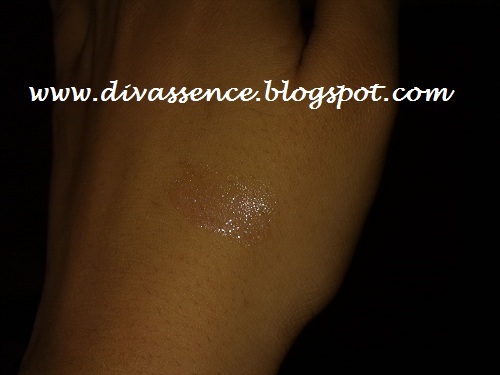 I thought it’s pinkish but it’s lightest pink shade and shimmer stops me to buy it. @Ani Ya Ani it is but it doesnt moisturize that much. I’m always under a rock, aren’t I? Responding so late all the time!! 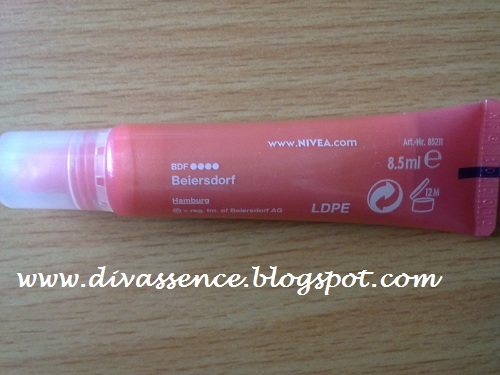 @jyoti =)) arre.. woh fruity lipbalms of nivea are really good! !